Like most foreign visitors, he wanted to visit Cameron Highlands. Somehow, despite fairly regularly returning to Malaysia, my new friend still had not been. I thought about it. Cameron Highlands today has changed since I remember it from my childhood trips. It is not as cool anymore, because agriculture has expanded in the Tanah Rata and Ringlet areas. It could be crowded in peak periods. The winding hill roads were never meant for heavy traffic. But on the other hand, it shouldn’t be peak period in the fasting month. The majority Muslim population does not tend to go on trips in the month of retreat and reflection. 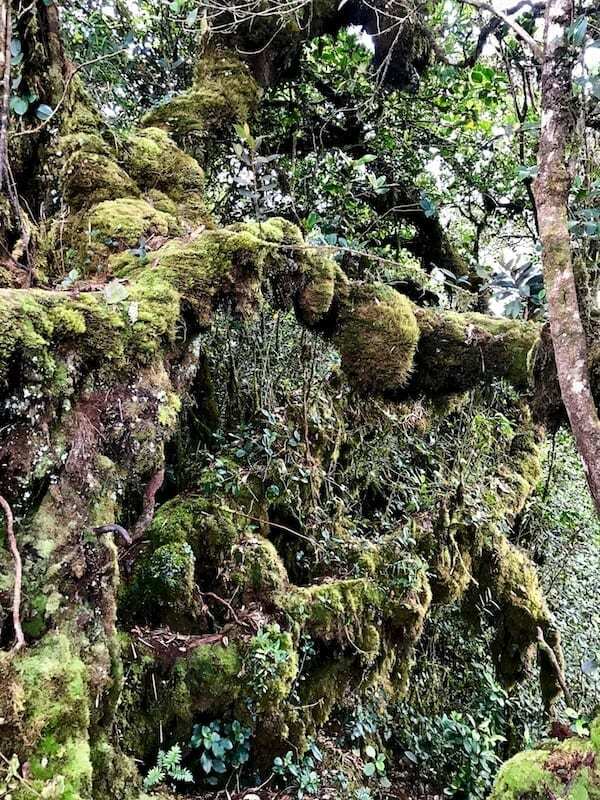 And there was a place that had long been on my local shortlist: the Gunung Irau hike through the Brinchang Mossy Forest. I reckon by now, my mental fortitude could handle the driving and hiking, despite fasting Ramadan. It was as good a time as any. I showed him photos of the Mossy Forest, and there was no further question that we would go. 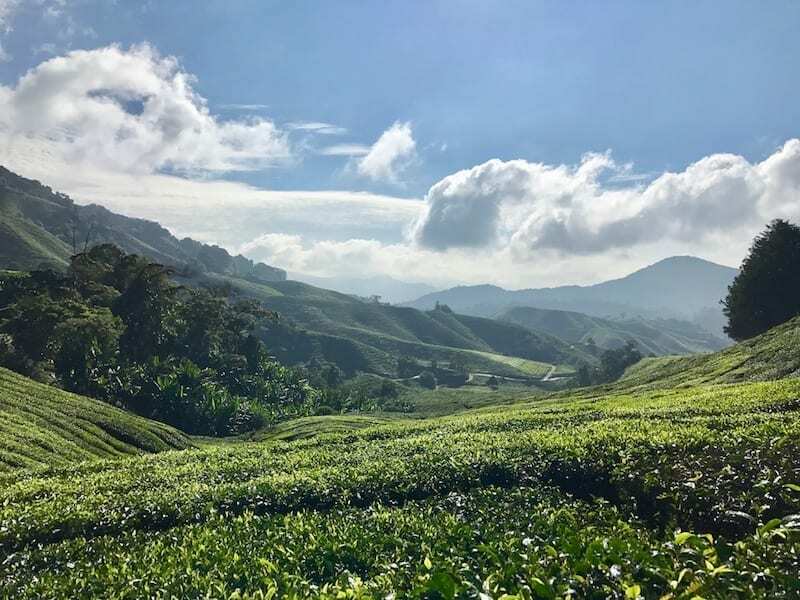 Cameron Highlands is often within the tourism shortlist for Peninsular Malaysia, and there are still many reasons why it is worth a go. The tea plantation valleys are breathtaking, and it is very accessible from the cities of the west coast. But as a local, I remember it from the way I saw it in my childhood in the 90s. It was cooler then, and the rolling hills were entirely picturesque. The strawberry farms were charming, and there were more flowers grown due to the reliably cool weather. The roses were massive. There were wild orchids flowering randomly at the back of resorts. Holidaying there really felt like you almost went to another country. Even allowing for the sepia-tinge of childhood memories, today’s Cameron Highlands is actually a pale version of what it was originally. Nonetheless, I had never gone to Cameron Highlands as if I were a backpacker. That alone might be an interesting perspective for me, even if I could not show him the Cameron Highlands I remember. 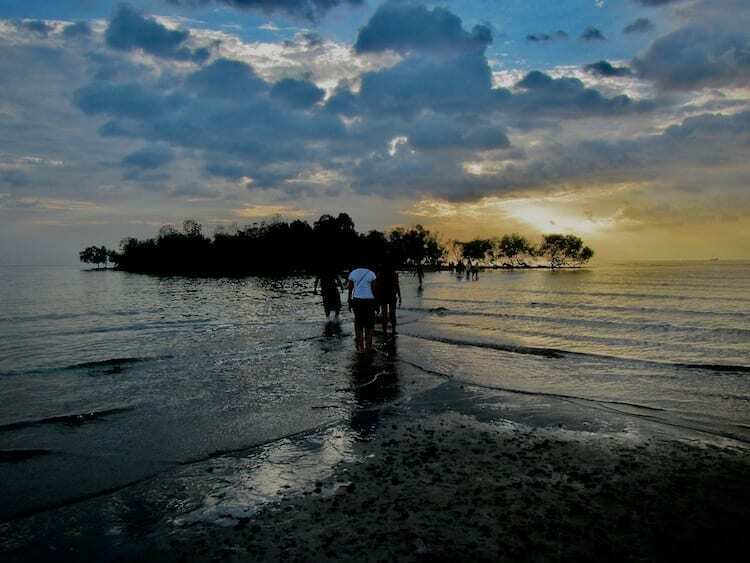 The thing about road tripping in Malaysia is, every few years or so, the landscape seems to change dramatically. I guess it’s a testament of the urbanising trend in the world. Rural areas becoming semi-urban, villages turning into townships as they begin to merge into each other. The state of Pahang, with its permissive attitude over forest conversions to oil palm, and oil palm conversions to townships, is where I found this the most striking. 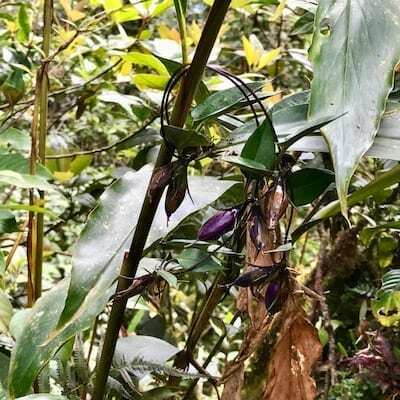 Once, if you were to drive the route from Kuala Lumpur to Tanah Rata in Cameron Highlands through Pahang small state roads, you would often be flanked by rural sights interspersed with secondary jungle. I had thought to do this instead of the highway route through Perak, so that the drive would be more scenic. But I quickly discovered, those roads are wider now, and the landscape has shifted to a more monotonous one of plantations and utilitarian township and commercial buildings. Passing through Ringlet from this direction, you would see the agricultural areas of Cameron Highlands – the high density places that grow the vegetables for the supermarket shelves. These are grown on an industrial scale now. Rows of utilitarian greenhouses occupy the landscape – no longer the charming furrows in the ground of old. I understand why this is so – farming technology that improves yield and quality of produce. It’s hard to be upset with that. But the character of the route has changed. 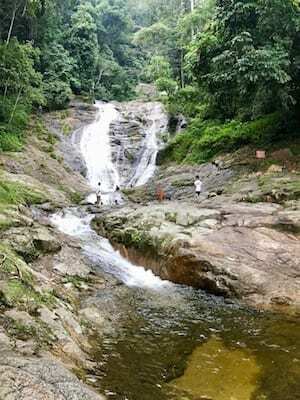 However, if you were to drive to Cameron Highlands from the other side like normal people – from Ipoh or Tapah (north of Kuala Lumpur) – the routes within the state of Perak retains much of the original character of Malaysia road trips. A lot of other travellers have already written guides and overviews for visiting Cameron Highlands. I thought for a first time visitor, this one is pretty good. We booked ourselves on a small group tour that I mistakenly thought focused only on the Mossy Forest, but actually covered the tea plantations as well. It was a good tour though! However, if you brought your own transport, there is another way you could explore Cameron Highlands. You could just drive around and pick random signs to follow. You could drop by a random Buddhist temple up on a hill in Brinchang, perhaps. Or decide to explore obscure hiking trails at the end of roads in Ringlet. Like a proper road trip should be. I do not at all admit to any particular botany passion. My mother is the one that has that. She is constantly vexed that I ask her what things are, and make no effort whatsoever to retain the information in my own memory. However, I do have a general interest as a naturalist. 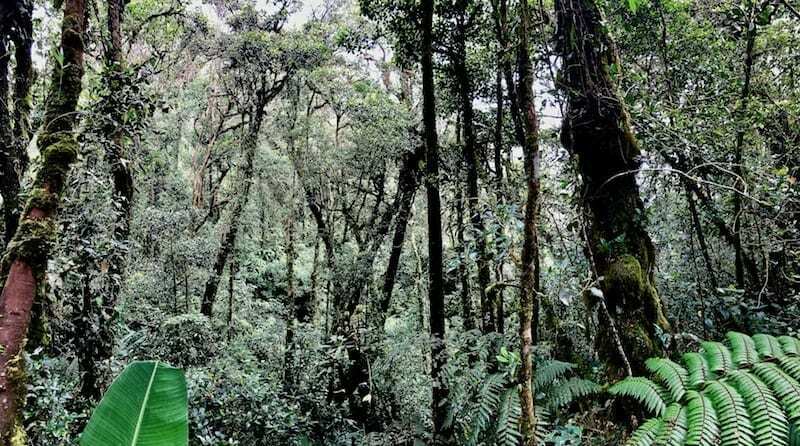 The altitude of Cameron Highlands jungle lends itself to a different sort of diversity than the more typical Malaysian rainforest. 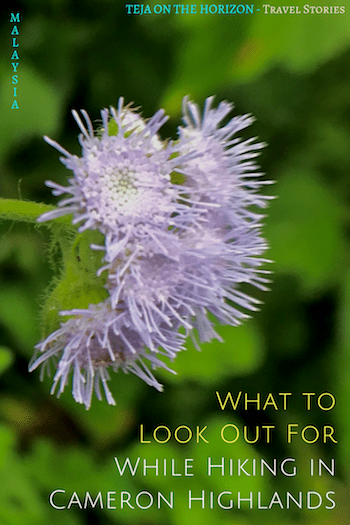 Here, on our exploratory hikes and walks, I found myself looking more closely at the flora, rather than the fauna around me. (This could also have something to do with having newly acquired clip-on macro lenses for my smartphone). The reason for this is that the epiphytes and mosses of the forests here, are wonderfully diverse. In a single photograph frame, it is easy to capture multiple different plants, all looking very different from each other. And they’re usually tiny – super cute. It doesn’t really matter what the plants were. Having the freedom to zoom into this scale, was the real fun. Nonetheless, a few specific plants caught special attention. A carniverous plant that is commonly found in the forests of Malaysia, the pitcher plant has a distinctive shape. There is usually a lid, and a long pit where the unsuspecting insect falls in and becomes trapped. 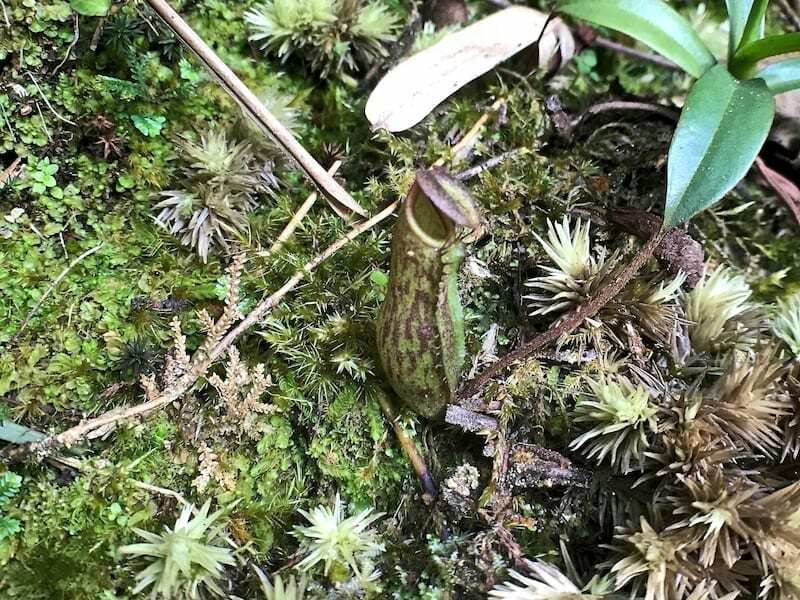 Many different species can be found in Malaysia, and the second tiniest frog in the world was found in Malaysian Borneo, living in a pitcher plant. (The smallest known frog species in the world is in Papua New Guinea). Highland orchids are another thing to look out for, although at the time of our visit they weren’t flowering. Orchids are epiphytes, which means that they evolved to grow on other plants (i.e. trees) to obtain some kind of advantage – to better access light, for example. They are therefore adapted to obtain moisture and nutrients from media other than the ground soil. Cameron Highlands has a diverse range of orchids. However, they should be left in the wild. 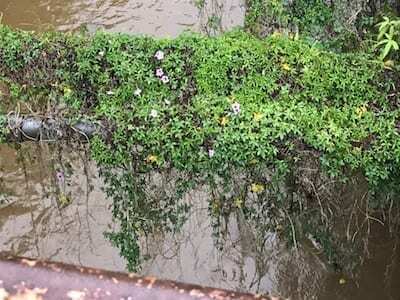 Over-collection has had negative impacts on the orchid abundance in the area. I also enjoyed looking out for ferns during the hikes. 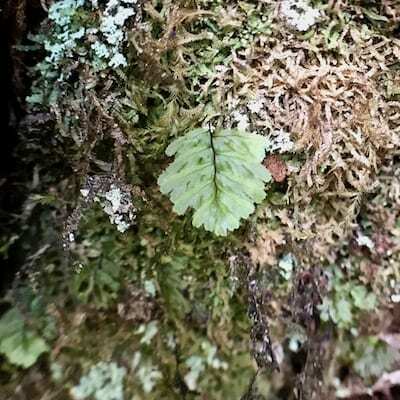 They are more common in these higher altitude forests, and range from super tiny ones, to large ones that remind me of the tree-ferns of New Zealand. A flower that I found interesting was pointed out to us by the guide on the tour we booked. It was a black lily, unlike any I’ve seen before. The top of it curled over the front, giving it almost a sinister appearance. 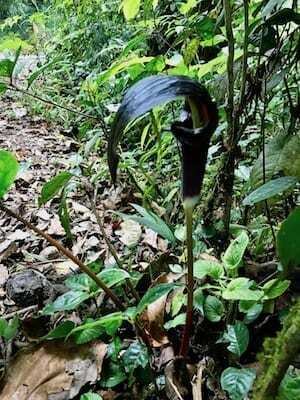 Although I can’t tell you how it can be said to resemble a cobra, somehow when he told us it was called the ‘cobra lily‘, it instantly made sense. Notwithstanding my error with the tour booking, we were hopeful that we could at least return to the Mossy Forest to do a longer hike ourselves. 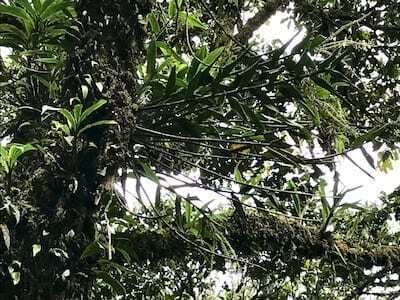 But the guide told us that entry into the forest was barred again by the Forestry Department due to a combination of two reasons: excessive damage to the moss from hikers, and safety risks (there were robbery cases reported during hikes in the forest). A case of a nature destination suffering from its own popularity. We did find evidence that both were true. At the entrance of the showpiece area of the Mossy Forest (still open for admission), there were signs forbidding visitors from leaving the boardwalks and venturing into the forest proper, so that the moss could regenerate. And at the start of another hike we did the previous day, there was a warning scrawled on a wall – apparently by a victim – to beware of robbers hiding in the jungle. It is very likely that you could disregard the warnings and find a way into the forest. There are probably local guides who would be willing to take you. But I felt it was not right to insist to enter the forest, knowing that the delicate moss habitats were already compromised. Besides, the part that we could see from the boardwalk was quite beautiful too. Observing these small plants felt so natural and fulfilling to me, that it took me a very long time to realise that I rarely did it before last year. In fact, because of the funky things I found in all our subsequent hikes together, my friend would insist that it is one of my defining traits. But looking back, I realise that I didn’t do it when I hiked with long-standing friends and family – not in Pinatubo, and not in Katoomba. I did not stop to take photos of anything but the big stuff. I didn’t do it when I hiked solo either, say in Belum or in Perlis. Sure, I noticed things, but they were macro or landscape scale. Yet my later trek through Annapurna was practically defined by this attention to the small things. It can’t be that I didn’t want to before. I really can’t say for sure what the difference was. So like a proper scientist, I looked at the place where I went hiking two different times – once in a tour group with strangers, and again with a different friend who was familiar with hiking. The second time, I found and took pictures of funky moths and spider webs. The first, hardly anything. Maybe it’s a combination of things. Perhaps alone, I feel like I must undertake the duty of vigilance as the primary one as a solo female hiker. So my sight notices things that are wide angle. Perhaps with others less athletic or familiar with hiking, I feel like I must reserve some attention in case they need help. And perhaps with friends or strangers who are there primarily to be social, my attention is diverted from the nature around me. Perhaps without any of these subtle demands on my attention, I could relax. And when I relax, apparently I look into the little things. The epiphany led me to another thought about the Mossy Forest and why it is closed. A forest whose ethereal fairy landscape is formed by the ancient layering of the smallest of small things – moss. 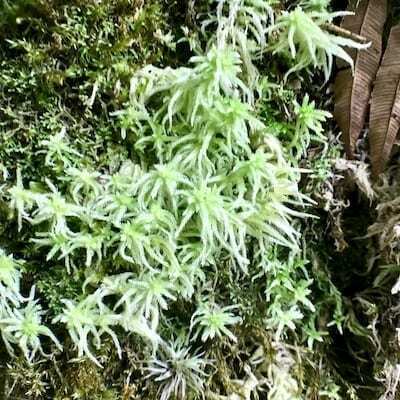 I’ve seen the viral reports and news stories, alarmed over photo evidence of hikers clambering and trampling all over the thousand-year tufts of delicate moss. All for the epic photo op – the ultimate Instagram image. 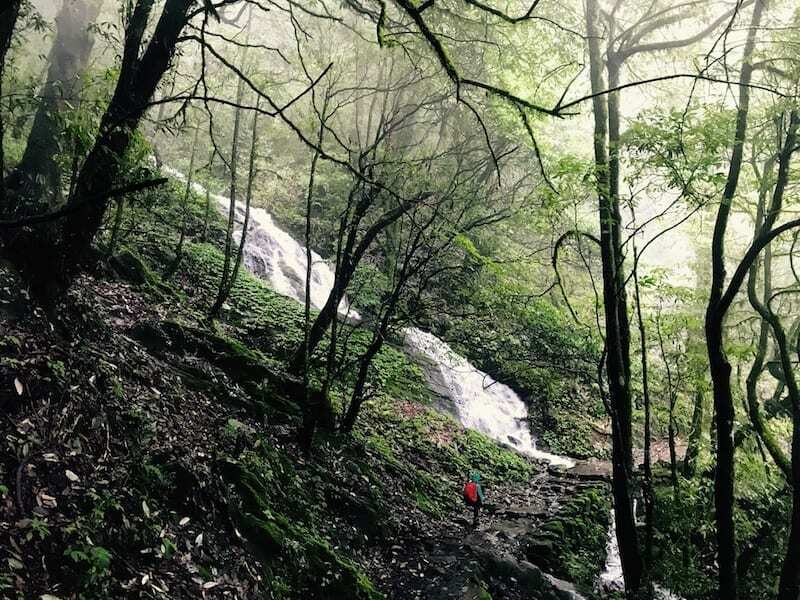 I compared it to the way guided nature hikes are run. Where the guides would draw your attention to the things around you, one by one. Perhaps we would be able to have nice things, if we learned to see the little things. 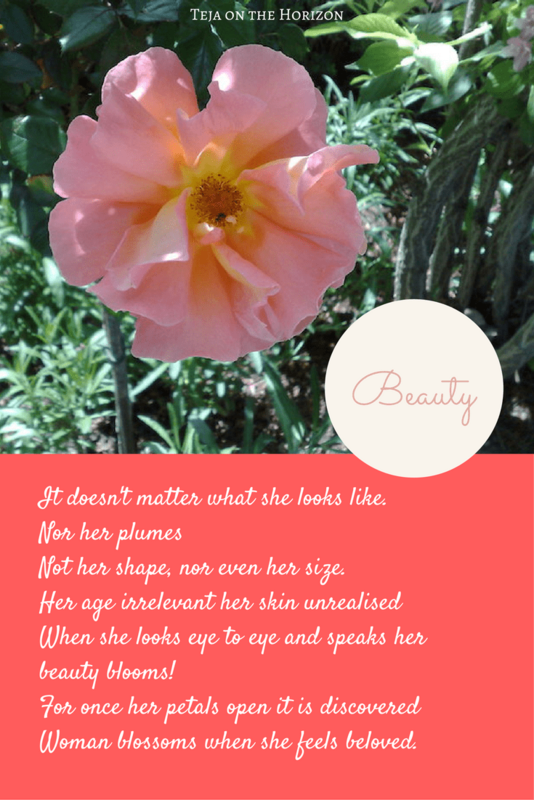 And learn to deal delicately, with the delicate things in life. There was another thing that I learned from this trip. But it was something I realised right at the beginning, not the end. By the close of 2016 I had decided that I would be on Easter Island on my next birthday. And since I am strategic that way, I decided to go for a ‘practice’ long solo trip before I did a much longer one in a continent where I don’t speak the language. For various reasons, I settled on Nepal. I was fired up. I was sure. It was all just a matter of planning it, and then going. I was a new me, after coming back from the Maldives. But when my new friend asked me for the weekend trip to Cameron Highlands, my instinct was to evaluate it in the way of old me. Practical ramifications popped up first like: Could it be done over a weekend? Could I do it while fasting? How would I manage sahur (pre-dawn meal) while there? Diplomatic ones like: Would we get along? Would I regret trapping myself in a car with an extrovert for hours? How shall I make sure he eats even while I do not? And numerous other risks and obstacles that came to mind. Many people reading this might wonder, …and? It seems a perfectly logical, reasonable approach to a proposal. It is the normal mode in many societies – perhaps entirely across the Asian ones. Certainly it is the natural default for an analytical, logical mind like myself. Essentially what you’re asking is, Is this a good idea? But what I realised in recent years is, this mindset tilts in favour of not doing. Because the assumption is no, unless you can prove there is a good enough reason to do it. It is very hard to try anything new, acquire experience, and create, from this default. But there is another way to manage risk. You could start from a mindset of yes, and then look at all the exact same risks from the perspective of solving it, so that you can do the thing. If you simply couldn’t, that’s when you pull the plug. But the idea itself is not in question. It seems like such a small change. Challenge the risk, instead of the idea. But this small change means you will end up doing far more things in life – and grow. I thought simply by knowing it, I was ready. But at the conception of this trip I realised that between then and Nepal, I still had some work to do, to re-write my inbuilt programming. I realised, I would not be ready to be in Easter Island for my birthday, if I didn’t. I felt it, in the tide of questions that washed into my mind, clashing with my newfound spirit that just wanted to go already. So I killed that switch. I knew I could manage all of the risks, somehow. Actually, that was all I needed to know. And so the door of 2017 swung open to the world. 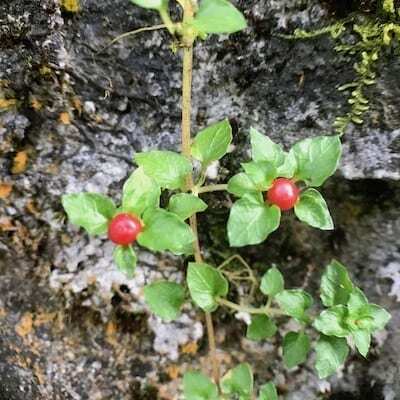 So nice to see a post of hiking plants. I especially like the pitcher plant as it uniqe plant among all. Ah ha! A fellow hiker who understands the value of hiking slow! I’m glad you like the article :) The pitcher plant is a quite a special plant, isn’t it? 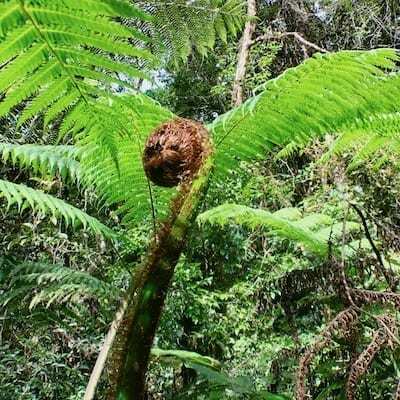 I saw the Venus fly-trap in a botanical garden in Australia’s Blue Mountains. That one was pretty cool too, although much smaller than I imagined. Your photographs of all the nature you can find are stunning. I can’t believe there is so much variety there. I’d love to visit, thanks for inspiring me! I’ve always wanted to visit tea plantation. They have one here in Korea so I’m hoping to visit soon now it’s warming up. Camron Highlands are beautiful, although I found Mossy Forest a little over-hyped. It wasn’t as good as we expected. 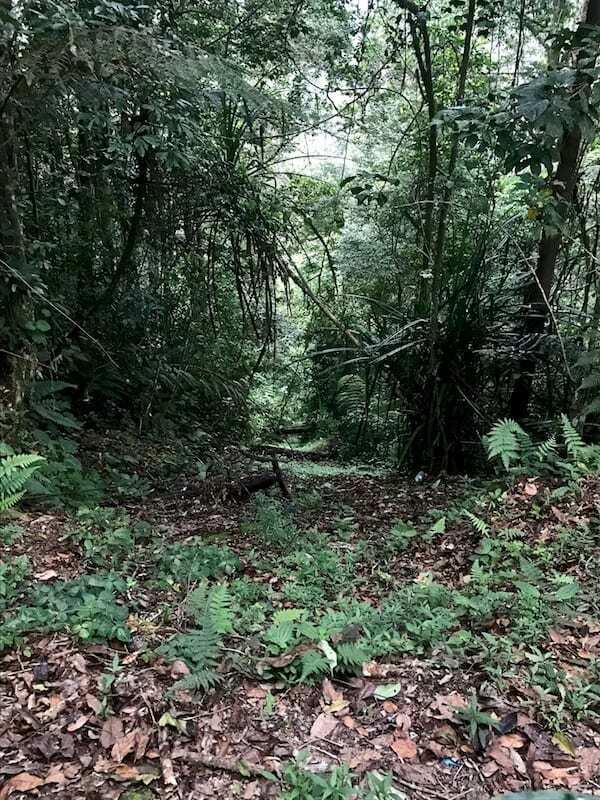 The jungle trails weren’t marked well too, but then that’s the fun element – getting lost in the jungles. We spent most of our time in Brinchang and halted briefly at Tanah Rata. :) Cheers!! I don’t know the Cameron of your childhood but I think it wiould have been magical considering the views of Cameron now. Hiking here couldn’t be more better, it’s motivating for someone as lazy as me. Nice pictures you have here.